Year 7 students had a great time on Thursday 9th March. They spent the day with Mrs Storry and the PE department taking part in activities both in school and in Widemouth Bay with Outdoor Adventure, which is based on the clifftops with fantastic views all down the coast. 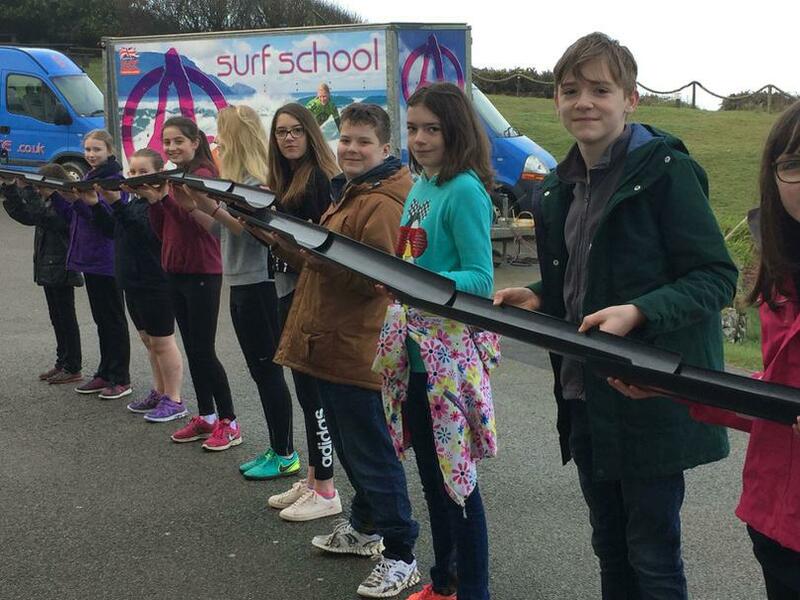 Half of the year group started the day in Bude taking part in six different outdoor activities. They were split into groups for: spider’s web, bungee box, tennis ball challenge, plank and mushroom balancing, gantry challenge and seesaw balancing. Each activity encouraged team work and problem solving, but made it fun. It also enabled the students to work with other people in their year group that they might not normally work or socialise with. The College activities took place in the Sports Hall and were again team building and problem solving. Activities such as passing a hoop over each person’s head in turn, whilst holding hands, encouraged the students to work together to encourage each other to complete the task, in the fastest time! They were very competitive, but there was much laughter and many smiles during the day.